In case of interest in downloadable copy, please do not hesitate to contact us. You can also listen to the podcast via the following link. The first part discusses the biochemical pathway of biodegradation and more particularly the meaning of complete biodegradation in soil. The second part touches on the possible accumulation of plastics in the soil as a result of repetitive use of both non-biodegradable and biodegradable mulching films. The Ecocea anaerobic digestion and composting facility is expected to process 73.000 tons of household waste and 8.000 tons of green waste per year, with biomethane fed into an industrial natural gas network. 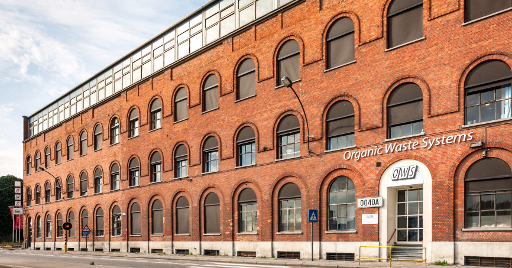 OWS (Organic Waste Systems) is one of the world’s leading experts in biodegradability, compostability and ecotoxicity testing of different types of materials, including bioplastics. The journey started in 1990 - right around the time when the first bioplastics entered the market. Elisabeth Skoda spoke to Marketing & Sales Manager Sam Deconinck to find out more about the company's internationally succesful biodegradable materials testing business. The purpose of this study was to test the chain-organization environmental footprint (chain-OEF) approach by applying it to part of a pork production chain in Belgium. The approach is supposed to provide insight into the environmental impact of a specific production chain in an efficient manner by applying pragmatic data collection throughout the chain. This is achieved by allocating the environmental impact of each of the production sites to the product of interest using straightforward allocation rules. Review of information on enzyme-mediated degradable plastics - Deconinck, S. and De Wilde, B.